David Tubb's 308 Winchester ammunition sets the benchmark for performance and reliability. By using only quality grade components David Tubb's ammunition is able to provide the most uniform ballistic performance you could ask for. David Tubb's 308 Winchester is loaded using 175gr Sierra Matchking bullets to maximize long range performance. 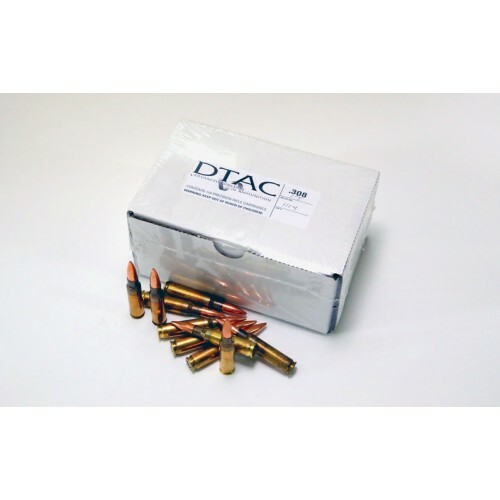 Similar to M118LR this ammunition is not loaded to the same specifications as David Tubb's Precision ammunition but is a great substitute at a reduced cost. David starts off by using a Sierra 175gr Matchking for it's ballistic coefficient and uniformity and then places that on top of a charge of temperature insensitive powder ensuring that your velocities won't fluctuate even if the weather does. Combining that with Lake City brass and a match grade primer provides superior uniformity, reliability and performance. *LOADED AMMO FOR USA SALE ONLY & MUST SHIP BY UPS.